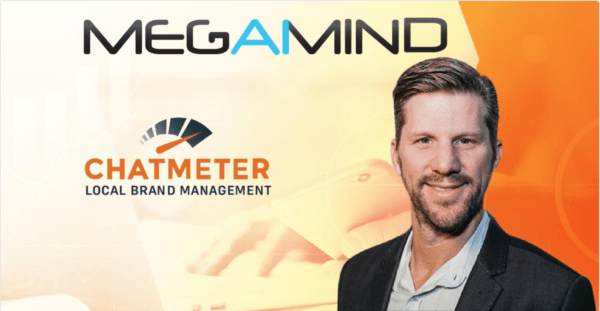 Collin Holmes, Chatmeter’s Founder and CEO, sat down with Sudipto Ghosh of AiThority to discuss AI, SaaS challenges, behavioral science and future predictions. Tell us about your journey into Artificial Intelligence? What made you start a local brand management platform? I’ve been in mobile local search for more than 15 years now and recognized a big opportunity to start a company when smartphones were first emerging. At that time, mobile local search had less than a 10 percent adoption with consumers, but I knew that would change and companies needed a solution to better tackle this new marketing channel. In addition, I forecasted that reviews were going to play a big part in driving the need for a marketing tool. Until that point, all monitoring tools were national and relied on a lot of manual inputting. I wanted to build the first platform to tag content and trends at the store level and that allowed marketers to do their job more efficiently. Define your ‘Ideal Customer’ profile? Our customers are enterprise national and regional chains and agencies who manage more than 100 plus storefront locations. Generally, they come to us with one of two problems: help with their online presence or the way they communicate with customers, manage store listings and creative assets, and most importantly, create exceptional in-store experiences across stores. A second problem we help address is online review management, where we help our customers such as Dickey’s BBQ, Wendy’s, AutoTrader (Agency/Reseller) and Kohl’s monitor and respond to online reviews on a daily basis and set up alerts and reminders so the retailer can immediately make a change or respond. 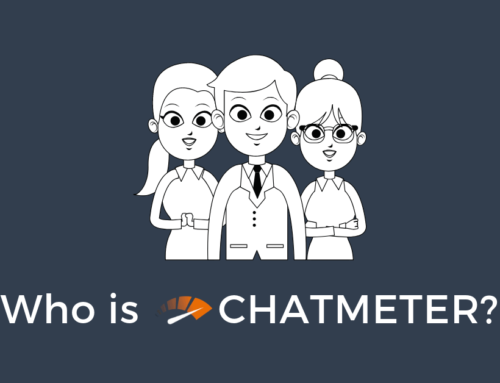 Chatmeter provides an industry leading Local SEO platform and services to multi-location businesses. For them, this becomes a big data problem. For example, with Sears, they have nearly 1,000 locations, which means, they have 30,000 reviews, 20,000 business listings, and 10,000 photos posted about their stores. They need a software platform like Chatmeter to make sense of all that data and then create recommendations of what they need to focus their efforts on to have the greatest impact on their online visibility and reputation. We have built highly intelligent algorithms that analyze all these metrics and then provide scoring and recommendations to tell our clients what are the specific areas of opportunity. In 2018-2020, what are the biggest challenges for the brand management platforms? How could AI/ML technology solve these challenges? We work with a lot of brick-and-mortar retailers who are battling with “retail apocalypse” or the threat of online shopping shutting down their stores. In the era of Amazon and online shopping, it is assumed that brick and mortar is dying, but despite the rising popularity of e-commerce, research shows that only 44 percent of Americans shop primarily online, while 56 percent opt for brick and mortar stores. Keep in mind that 94% of the $5 trillion dollar market is still done offline, but of course, the world is shifting. In order to overcome this challenge, Chatmeter plans to continue their commitment to educating business leaders in the market and to help them understand ways to keep their store locations open and profitable through AI and ML powered tools. As mentioned earlier, brick and mortar must process a lot of data and AI is the only way to understand trends when looking at tens of thousands of reviews across a wide array of locations to then know what the customers are saying and alter their strategy when looking at how to provide great customer experiences and beat out competitors in every local market. Our AI technology gives insights down to local levels, allowing operators to know what specific issues are occurring at each location/region without having to sift through hundreds of reviews all day long. It also improves sentiment. Through our tool Pulse, we’re able to break up online reviews into individual statements, and then assign sentiment scores for key topics it finds within the statement. For example, “cold” for hotels would be negative (cold shower), but cold for bars/restaurants would be flagged as positive (cold beer). By doing this, we have greater accuracy for word variations based on industries. In addition, the algorithm learns over time and improves itself along with gathering inputs from our customers to train the algorithm. We are seeing a much higher sentiment accuracy level than traditional standards with this strategy. We are contributing major economic benefits to our clients across the board. We are raising the bar for everyone by providing our clients with specific recommendations on how to improve the customer experience at the very local level, the store level, where it can have the most impact. Better experiences result in better reviews, which then lead to more customers. Ultimately, we are helping consumers by creating awareness of the impact of reviews, sharing that information with their operations departments, regional managers, and store managers which then result in creating better experiences across hundreds of thousands of locations affecting millions of consumers. Tell us about your AI research programs and the most outstanding digital campaign at Chatmeter or elsewhere? AI is continuing to evolve and become a part of our everyday lives and businesses are starting to adopt it as part of their operational process. For our last holiday /retail insights report, we used Chatmeters AI pulse tool to pull some of the insights that were included within the report. AI pulse was launched by Chatmeter in 2017 and helps take search to new levels, enhancing topic analysis and also improving sentiment accuracy, which is helping to bring a greater awareness of consumer reviews and action to brands. This technology will continue to allow progressive research studies to be undertaken and bring accuracy to Chatmeters work. With tech and AI advancements happening at an exponential pace, the sky is the limit when it comes to the impact customer experience management platforms can have on today’s marketers and brands. One thing we are looking at is the predictive capabilities we can achieve when analyzing the billions of data we have in our platform and the huge amount of data we collect each month. This may include the changes in consumer behavior, delivery of experiences across digital and in-store, and other trends we can predict based on local search presence, reputation, and local store traffic. Imagine the impact of identifying changes in restaurant trends for certain types of foods, analyzing the current experiences being provided in that local area via reviews, identifying the range of travel people are willing to go, and the opportunity to open a new location and dominate that local market. There’s also an ability to forecast the likelihood of a local business surviving when looking at this same level of data, which can be incredibly valuable in the finance space. What is your vision in making AI technology more accessible to local marketing communities and agencies? Do you provide any teaching or learning programs for finance and non-enterprise identities?